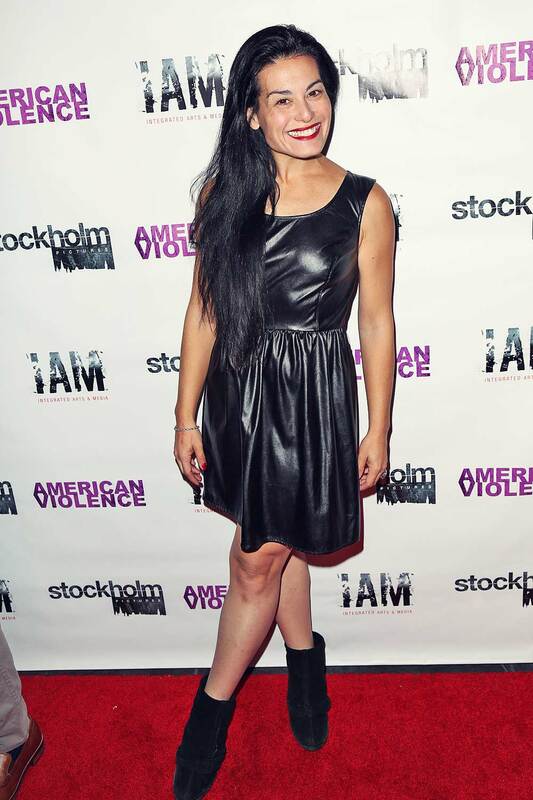 Actress Alexis Iacono made sure to turn heads as she wore a super stylish leather mini dress as she attended the premiere of "American Violence" at Harmony Gold Theater in Los Angeles. Alexis totally wowed everyone with her stylish look. Alexis put her curvaceous figure on display in black leather sleeveless mini dress. She paired it with black ankle length suede boots that gave her look an added edge, while she kept the jewellery to a minimum, wearing only a delicate bracelet. She looked great! Wearing her dark locks straight over her shoulders, Alexis sported a minimal makeup look. She highlighted her eyes with few swipes of mascara, while she added a pop of color to her look with red glossy lipstick. Alexis looked incredibly gorgeous in this edgy leather dress.